Facebook released its long-awaited iPad app and introduced support for social games on the mobile versions of its online service. 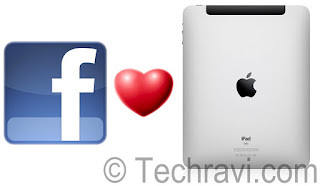 Users have been clamoring for an iPad-friendly version of Facebook since the device went on sale in April 2010. The dual announcements plug two key holes in Facebook's product offerings and could provide a way for Facebook to generate revenue from the more than 350 million users who access its service on mobile devices every month. The iPad app will let users chat with friends and play games on Facebook in full-screen mode, the company said today. Users have been clamoring for an iPad-friendly version of Facebook since the device went on sale in April 2010. Facebook, which has more than 800 million users, is stepping up efforts in mobile technology, aiming to take advantage of the shift to smartphones and apps. The company is introducing the iPad app as part of a push to encourage software developers to work with its platform on a range of devices.